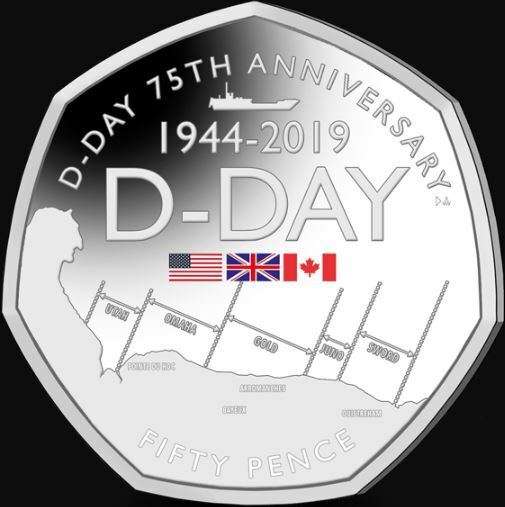 On Monday the Pobjoy Mint released a commemorative 50 pence coin of Gibraltar for the 75th anniversary of D-Day. The coin is available here. It is still unknown if the coin will be released into circulation locally. Its mintage is 7,500 pieces. Approval was also obtained for a gold proof piedfort edition, although it is unknown if it will also be issued. I am not really fond of the design. It is a bit too plain and simple in my opinion. Not very creative.